What is the need for Airport Analytics (AA+) Solutions? 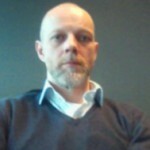 What is the need for Airport Analytics? Airports business has assumed gigantic dimensions over the last couple of decades or so. Changes in legislation and investment policies allowed private ownership in airports and consequent entrepreneurial spirit. At the same time technology took giant strides to be able to meet the business needs of airports. But how does Airport Analytics come into the picture?! Well, read on to find how! Talking of business at airports, airports need to adjust their operations to accommodate higher passenger numbers, increased air traffic and commercial services. This burgeoning demand at airports means need for growth in infrastructure and staffing while ensuring productivity and service quality levels. And of course all this with an eye on the bottom line! Increasing passenger volumes and air traffic also means increasing data. This data can be analyzed using BI tools and techniques to give insights enabling decision support for all what, why, when & where questions for the business! Analyses include historical data analysis, what-if scenario analysis as well as predictive analytics. A proper analytics engine is required that factors cross-linking between various departments at an airport to ensure that the management has sufficient information on operations, finance, commercial, infrastructure, HR etc. to take accurate and timely decisions. 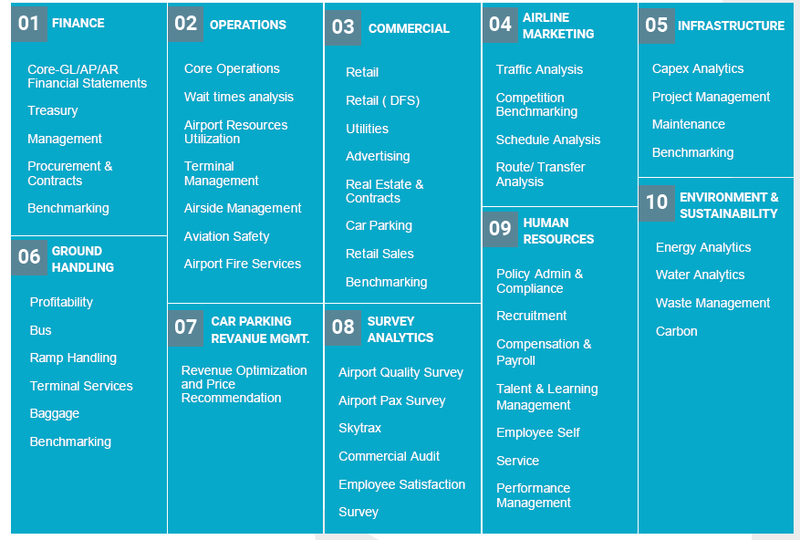 GrayMatter’s Airport Analytics (AA+) solution is a comprehensive analytics tool for airports business. It doesn’t matter what existing systems you have, AA+ is equipped with pre-defined connectors to 50+ systems that guarantee fast and accurate insights. Contextual to mention that deployment time for AA+ is around 1/3rd of the time needed for any other traditional BI tools. AA+ is a truly compelling and unparalleled solution in the vast subject area of aviation data analytics. Let’s walk through some scenarios. Passengers are the end customers and so passenger experience is a key consideration. On-time performance (OTP), for instance, is a critical parameter determining passenger experience. OTP is one of the 400+ pre-defined KPI’s in AA+, with ability to immediately indicate the reason for any variance, which could be late passengers, catering, ground handling etc. Non-aero revenue is another critical factor which also reflects the extent of customer engagement at the airport. Airport Analytics (AA+) allows store by store analysis based on key KPIs and provides insights to maximize non-aero revenues. Talking of car parks, AA+ provides analytics on utilization even at an hourly level. Not just that, AA+ also includes Car Park Revenue Management (CPRM) module which provides dynamic car park pricing based on predictive analytics algorithms. This module helps in reducing car park vacancy and maximizes car park revenues. Talking of hourly reporting, it reminds me of time dimension and also brings me to a key feature of AA+. Airport Analytics (AA+) always provides reports and analytics with respect to or compared to time period(s) which could be weekly, monthly, quarterly, yearly or even daily and hourly! AA+ not only helps in airports business but also enables mutual business interests of airports and airlines by providing suggestions on new airlines that could be invited , inputs on strategies to grow business with high performing airlines through new routes, greater frequencies of flights etc. The solution also addresses ground handling analytics that directly impacts the airline performance in terms of turnaround time between touch-down and take-off, service quality provided to passengers in terms of baggage handling and on-time delivery, bus service from aircraft to airport and vice-versa and others. There are several other illustrations to this effect, including operational metrics like air traffic movement, on-time departure and arrival etc. which serve as inputs for airline performance. The solution supports the calculation of derived data like ratios that are not normally available in the data source for the purpose of comparison or analysis like arithmetic operations (sum, difference, percentage, % difference, % total, etc.). The principle of Four Ws (What, Where, When and Why) has been kept in view, for getting the complete story on a subject, while designing the dashboards for the flow of navigation by the user. It is expected that when the user arrives at the end of navigation, he would have identified the pain area, or opportunity for improvement as the case may be, to address the issue effectively. GrayMatter's AA+ Airport Analytics solution is a game changer that delivers measurable value to the Airport Operator, covering the airport business end-to-end. The complete Airport Analytics (AA+) solution is pre-built, role based, thus giving the right kind of impetus to management at different levels encompassing strategic functional analytics modules besides some niche and smart reports structure which will enhance the decision making capabilities of the user. Airport Business Intelligence pre-empts outcome, thus giving you control over future results!